Today we started in the pool. We had to the 800 swim with Mask, Fins, and Snorkel. All I can say is I paced myself. Slow and steady wins the race. OH wait no race. We each had confined water presentations. I had the air depletion exercise. Georgia had the Galileo computer. I watch the screen and watch the bubbles stop when I shut off the tank. There was nothing on the screen changing from what I could see from where I was. She grabbed my grab my Octo. It was really bizarre. I made the correction after I turned on her air. We repeated the exercise and computer had same result. It was interesting. We went to the Classroom for Knowledge Presentations. I did a prescriptive for Project Aware knowledge reviews. I had a lot of fun with it. I got to use the photos I took on the Cinco de Mayo dives. The others had some interesting presentations as well. I will never be able to get the mental image of Jerry out of my memory. In the afternoon, we went out with the boat. We went to the site of the Christ of the Abyss. Alas we didn’t get to see Jesus. We did Open water skills. I did CESA and efficient fin kicks. FUN FUN FUN. I have nothing more to say about the skills. We did a rescue over an unconscious diver at the surface. It was interesting in open water. The second dive we went to the north dry rocks. I saw a lot of fish. The reef was jumping. It was really amazing. We saw Angels, Hogfish, and some kind of white nudibranch. It was another great day in Key Largo. Very Educational. Thanks, Georgia I am humbled. 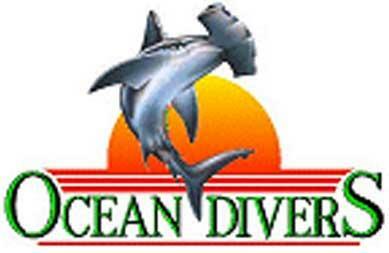 Stay tuned for Tomorrow’s continuing adventures of the Oceandivers IDC.